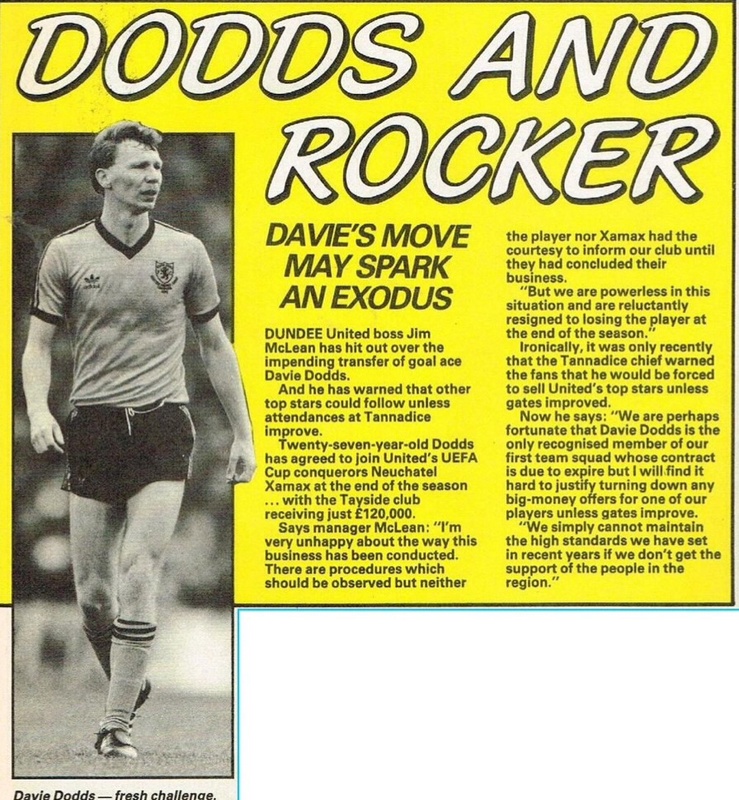 Dundee born Davie Dodds was 14 when he signed for Dundee United on an S form from Hillside Boys Club in December 1972, and within two years he was appearing in the reserves and signed a professional contract at the end of the 1974/75 season. 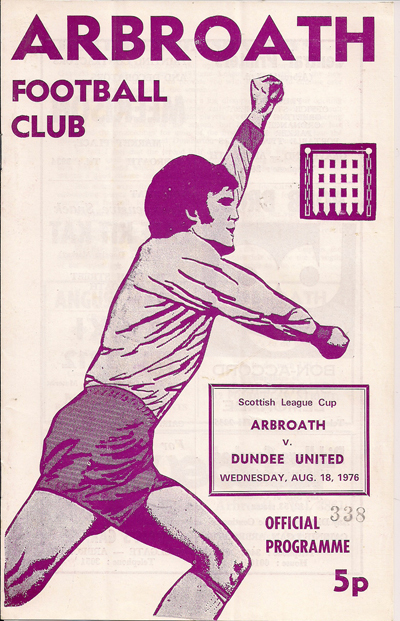 He made his first team debut in August 1976, scoring twice in a League Cup tie against Arbroath at Gayfield, and after a handful more appearances in a United shirt it was Arbroath that he loaned out to during the 1977/78 season. 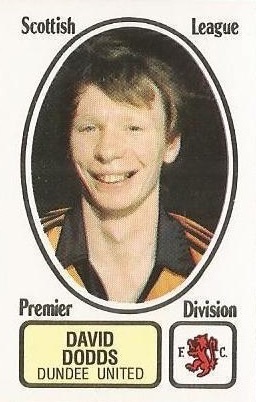 Having already represented Scotland at schoolboy and youth levels, he was capped at under-21 level in 1978 and by the start of the 1978/79 season he was beginning to breakthrough into the first team at Tannadice. 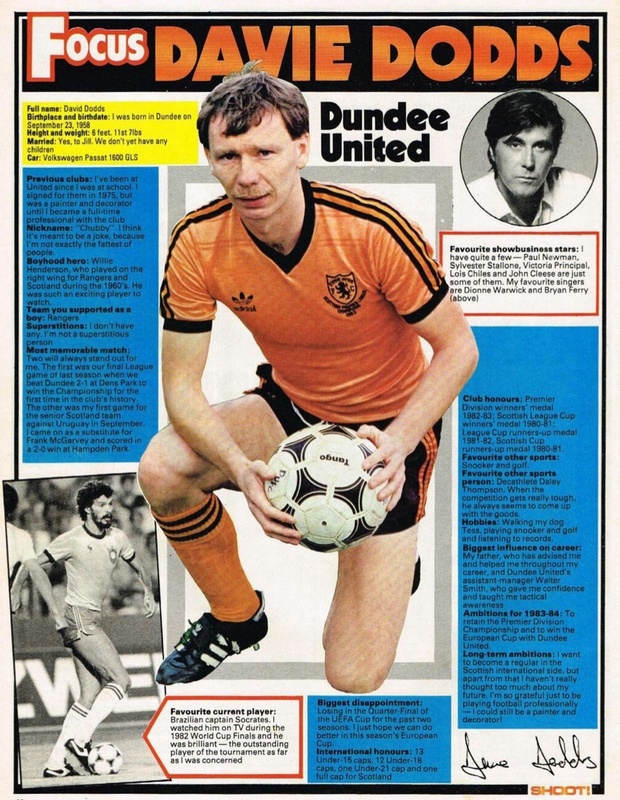 The 1980/81 season was an eventful one for Davie. 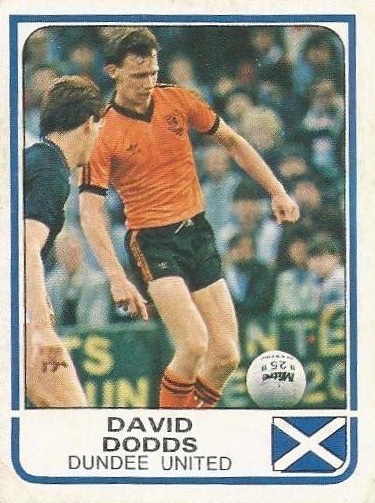 In December 1980, Davie was in the starting line-up for the League Cup Final against city-rivals Dundee at Dens Park. United had lifted the trophy the previous season and were hoping to retain it with a victory over their near neighbours. Dodds broke the deadlock on the stroke of half-time, heading past Bobby Geddes, and United secured a famous 3-0 victory and lifted the trophy for the second time. 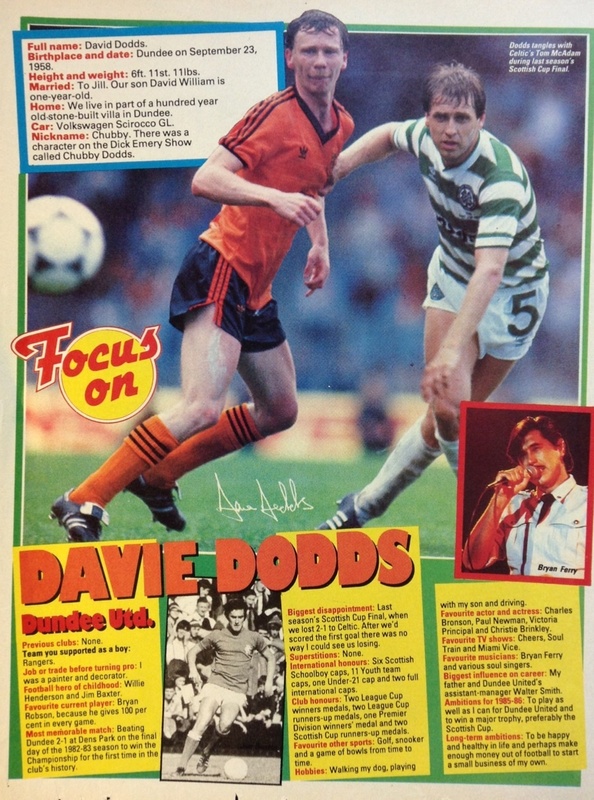 Davie also scored in the Scottish Cup Final that season, however that was a less memorable occasion as United lost 4-1 to Rangers at Hampden. 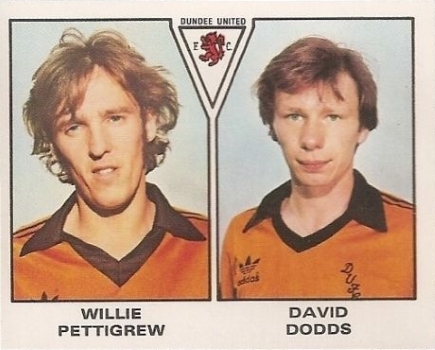 By this time Dodds had formed a deadly goal-scoring partnership with Paul Sturrock and the pair delivered the goods again the following season: Davie scoring 22 and Sturrock hitting 24. 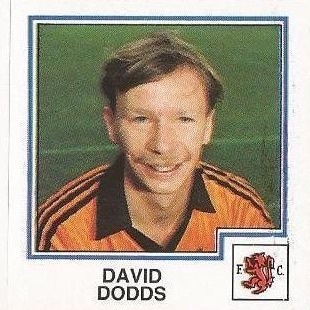 Season 1982/83 saw the tables turned as Dodds took the crown of top goal-scorer for himself with 28 goals in all competitions as United won the Scottish Premier League title for the first time in their history. His contribution to United’s successes had not gone unnoticed and in September 1983 he was handed his first full Scotland cap by then national manager, Jock Stein. Coming on as a substitute, he scored on his debut in a 2-0 win over Uruguay at Hampden. A second cap followed soon after in a 2-0 defeat to Northern Ireland at Windsor Park, but that turned out to be his final appearance. 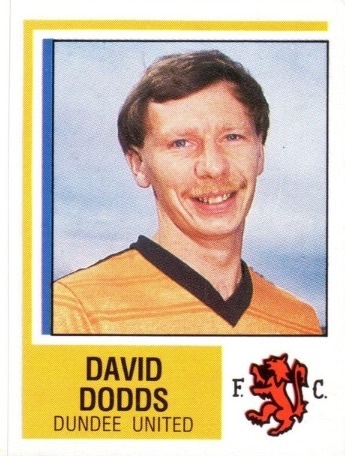 Dodds was a vital part of the United team that competed in the European Cup during the 1983/84 season. Scoring against Standard Liege and Rapid Vienna in the earlier rounds, he became part of a select group of Scottish players to have scored in a European Cup semi-final when United were narrowly beaten by Italian champions Roma, as United infamously crashed out at the penultimate stage. Davie again finished as United's leading scorer that season. He collected two runners-up medals in season 1984/85 as United lost the League Cup Final 1-0 to Rangers and the Scottish Cup Final 2-1 to Celtic. 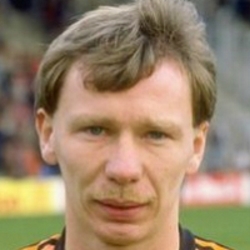 The 1985/86 season was to become Davie’s last in tangerine. With interest from other clubs and a difficult relationship with manager McLean, his form dipped. However, he became the first player to score 100 Premier League goals for the one club when he notched against Motherwell in March 1986. 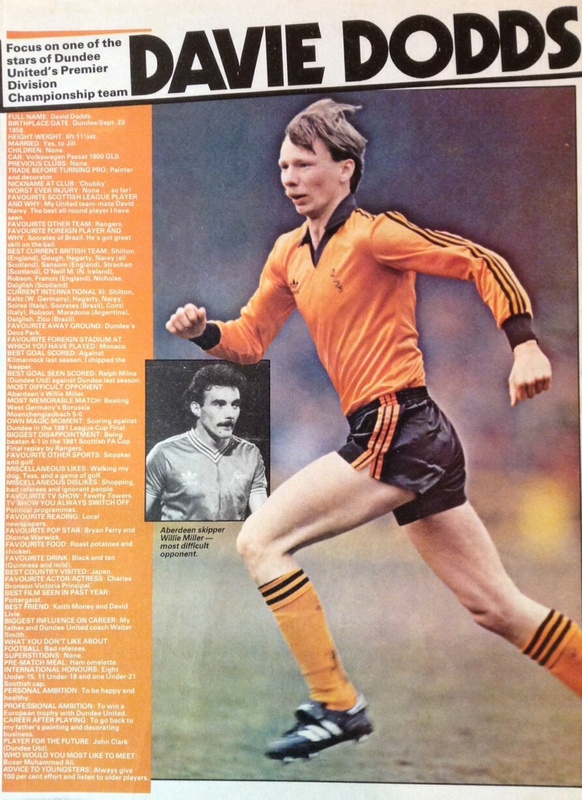 His last ever European game for the club was against Neuchatel Xamax on a snowy night at Tannadice in November 1985. He must have impressed the opposition as a few months later the Swiss side negotiated with Davie to sign him for the start of the following season, with United eventually receiving £180,000 for their top striker via a tribunal. Davie’s time in Switzerland was brief. 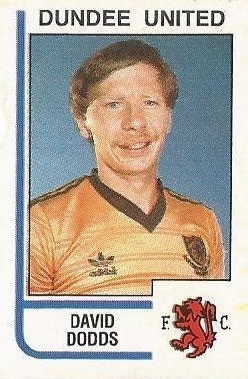 After two months on the sidelines, Aberdeen paid £215,000 to take him to Pittodrie in September 1986. 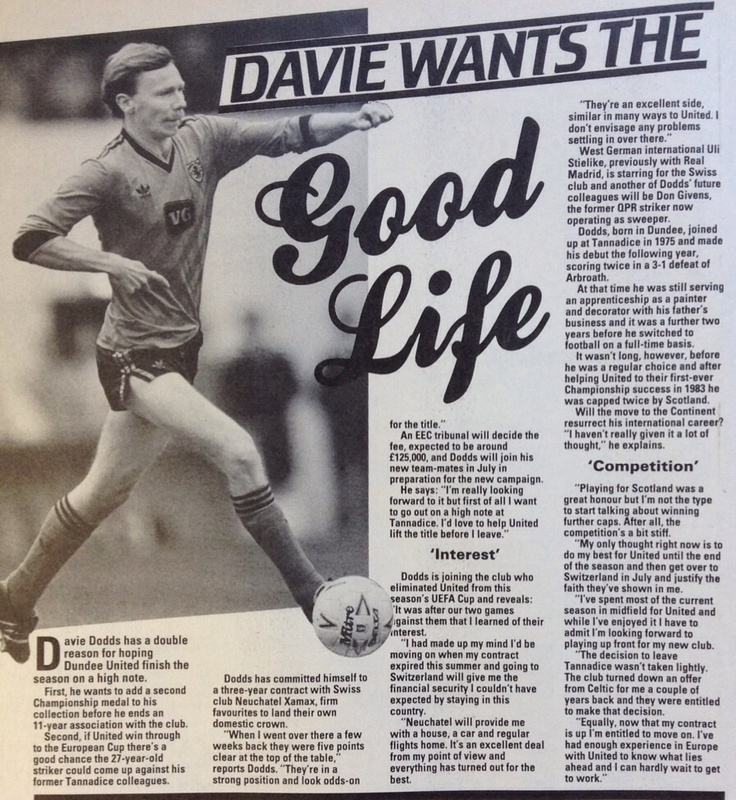 Davie went onto spend three full seasons with Aberdeen, and in the summer of 1989 he left Pittodrie to join Graeme Souness’ Rangers for a fee of £125,000. Mainly used as a squad player during his two seasons at Ibrox, Davie retired from playing to concentrate on a new coaching role with the Glasgow club, leaving the game altogether in 1998. 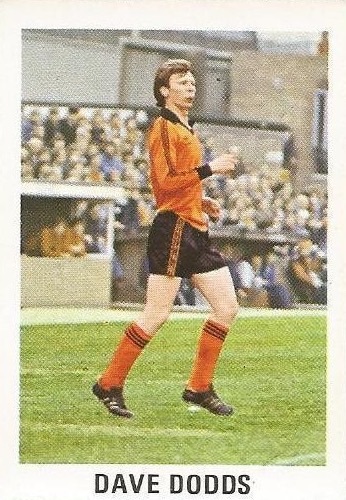 Dodds is United’s third top goal-scorer of all-time , and in 2010 he was inducted into the Dundee United Hall of Fame in recognition of his contribution to the greatest period in the club’s history. 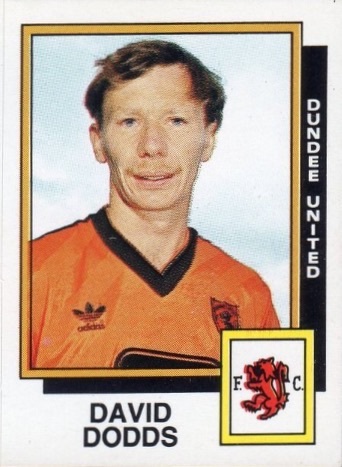 Davie was born on this date in Dundee. The disappointment of Saturday's semi-final exit was quickly dispelled as we stepped up our League challenge, in which St Mirren collected as many bookings as goals In their goals against column. This match, that had so much bearing on the destination of the title, saw United dominate for the most part, yet end up well beaten!